The spot Mark introduced to me at Vancouver was good for touchdown shots. 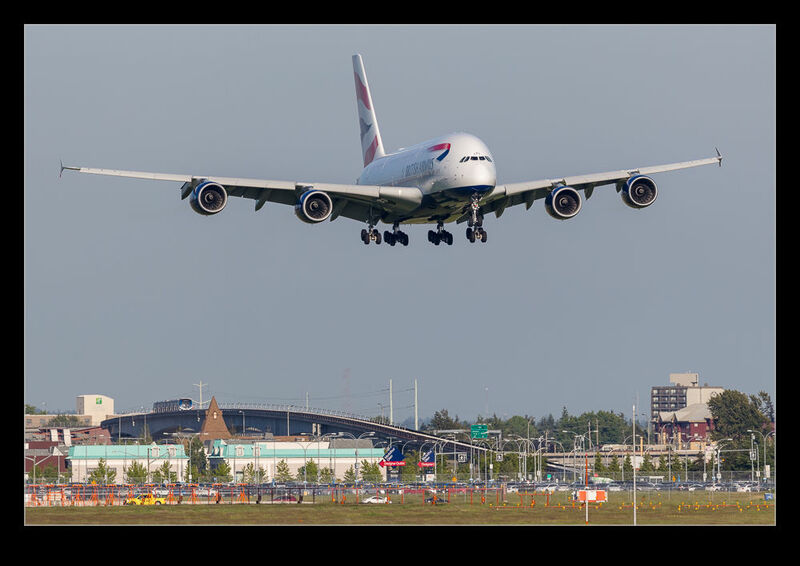 British Airways brings an A380 in each day so I was keen to get that landing. 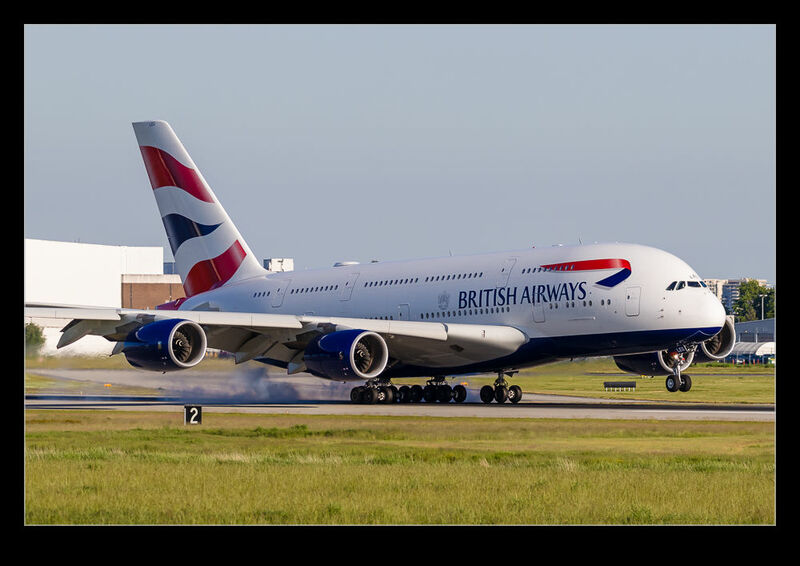 The landing shots included a lot of tire smoke as the wheels spun up but having something like an A380 means you have a few extra wheels and a lot more smoke, even if it is progressively given the configuration of the gear. 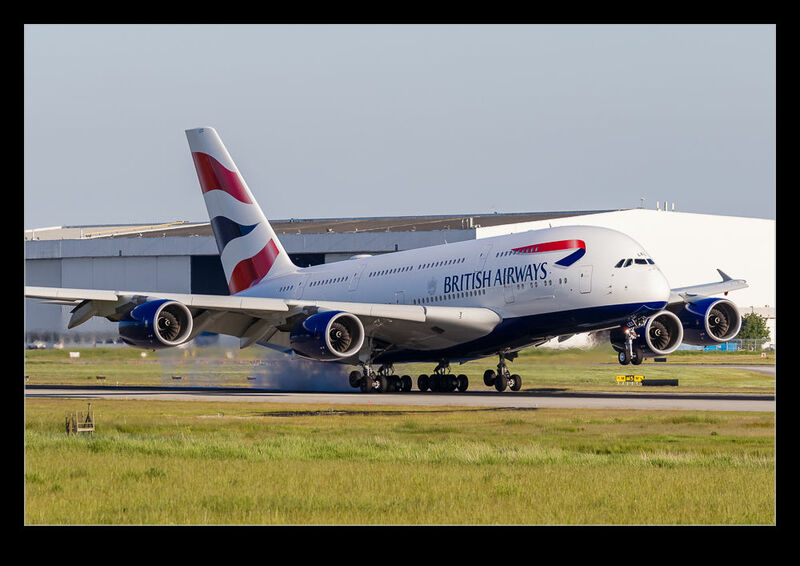 The size of the A380 makes it good at longer range if the conditions will allow. The background is getting busy as more buildings are added but you could get a clearer view further out with only the bridge for the Canada Line showing up. Swapping to the wider lens was necessary given the size of the jet. I know it is one that polarizes opinion but I quite like it and I definitely enjoyed flying on it. 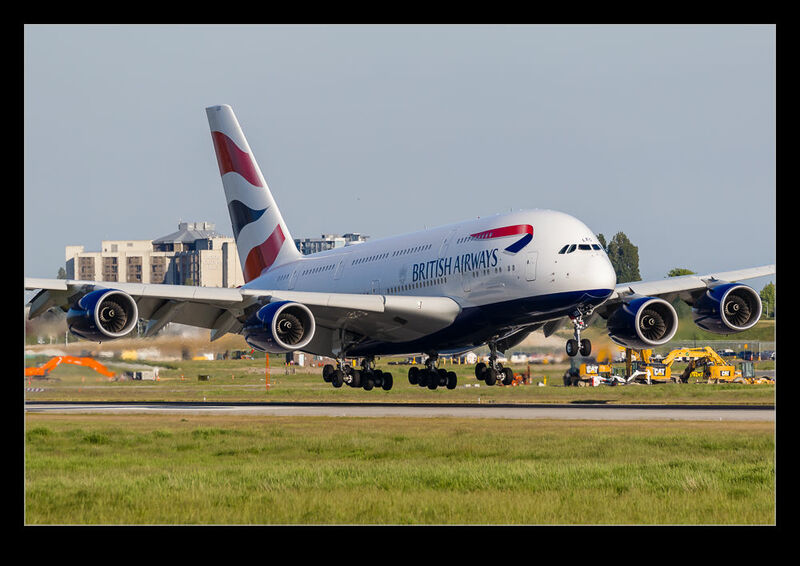 This entry was posted in aircraft, civil, Pacific Northwest, photo and tagged a380-800, Airbus, aircraft, airliner, airplane, british airways, British Columbia, Canada, civil, CYVR, jet, photo, Vancouver. Bookmark the permalink.